This article is about the guest stars. For the characters, see Aerosmith (characters). 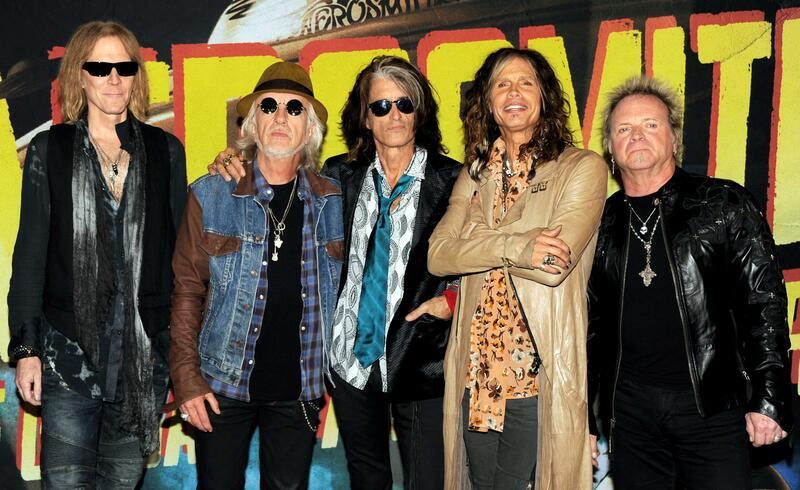 Aerosmith is an American rock band. They voiced themselves in the season 3 episode "Flaming Moe's" and Joey Kramer voiced himself in the season 22 episode "The Ned-liest Catch". Aerosmith were voted 24th in IGN's "Top 25 Simpsons Guest Appearances". Modified on November 20, 2016, at 12:00.